Knighton’s Museum, which opened in 2017, is located in the main street on the site of one of the town’s most famous mid C20th shops, CLEE & SONS – Knighton’s first department store. The Museum is run entirely by volunteers and reflects the social history of the area. The majority of the exhibits have been either donated or lent by local people and reflect the varied history of this border town from the drovers to the flannel weavers; from trade to agriculture. Working closely with KINDA and the Upper Teme Valley Dementia Action Alliance, the museum’s exhibits include a kitchen and scullery at the time of Queen Elizabeth II’s Coronation and elements of a 1950’s school room. Visitors are encouraged to handle many of the artefacts which include sensory items such as real carbolic soap! It aims to be of interest to all ages, whether stimulating memories in older folk or amazement in the young. Our ‘star item’ is what is possibly the oldest fire appliance in the UK; a hand drawn, hand pumped ‘engine’ of the Georgian era. The museum is free but we do rely on donations which are, of course, very welcome! Currently the Museum is open from April to October but we are hoping to extend our opening to weekends in the winter period. ACCESS STATEMENT – We are situated adjacent to the clock tower in Knighton town centre. There is car parking with blue badge spaces within a few yards. Disabled RADAR-key toilets are available at the rear of the Knighton Hotel in Broad Street. The museum holds a RADAR key for customer use. The entrance to the shop is accessed via four narrow steps with a handrail on the left-hand side and a ramp to the right-hand side. We regret that there may be limited wheelchair access. There is limited clearance for prams and pushchairs. 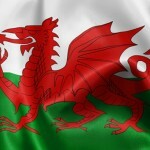 Have a hankering to start learning some Welsh? Sarah Graham is a local Welsh tutor offering beginners classes either privately or in a group, in person or over Skype.